Basma Salama from the Conflict Prevention Program provides a timely analysis below on the UN Secretary-General’s recent Human Rights Up Front Initiative, which promotes early action, stronger accountability mechanisms, and a more determined effort to use the civilian tools of a mission to strengthen the justice and security institutions of host states. The analysis focuses on the potential of Human Rights Up Front to create long-term structural changes although the initiative has already had a direct impact when it was explicitly invoked and provided important cover in South Sudan for the “open gates” approach in 2014, which saved thousands of people. The commentary forms part of The Hague Institute’s broader work in this field that includes the recent appointment of President Abi Williams to the United Nations Senior Expert Group to monitor the implementation of the Human Rights Up Front Action Plan, alongside several long-term research projects on Responsibility to Protect. The nature of UN peacekeeping began to shift after 1999, with an increasing proportion of peacekeeping missions receiving a mandate authorizing the use of force to protect civilians under imminent threat of violence. Even though the ‘Protection of Civilians’ (POC) concept has been embedded internationally and institutionally, few peacekeeping operations have successfully carried out their protection mandate. In practice, the United Nations’ (UN) response to crisis often comes when a situation has deteriorated to the point where most available resources are invested in a large number of peacekeeping troops to provide direct physical protection. This commentary argues that the successful implementation of protection strategies requires a more holistic approach, one that demands the active engagement of the host state and sustained political support from the Security Council and donors. In 2014, the international community called for a stronger and larger peacekeeping force in the Central African Republic (CAR), as violence escalated between the Seleka and anti-balaka rebel forces. While CAR has no history of significant sectarian conflict, both militias deliberately targeted Muslims and Christians in revenge killings, attacking civilian communities along religious lines. Consequently, the Security Council authorized the establishment of the United Nations Multidimensional Integrated Stabilization Mission in the Central African Republic (MINUSCA) through the adoption of Resolution 2149, on 10 April 2014. The UN peacekeeping mission received a mandate allowing it to use force for the protection of civilians under Chapter VII of the UN Charter and to take over the African-led International Support Mission to the Central African Republic (MISCA). Despite the presence of a larger UN force, a report by Amnesty International documented that violence increased across CAR and in the capital in October 2014, displacing thousands of civilians and killing dozens. MINUSCA is facing the same challenges that MISCA confronted. The Mission for the Consolidation of Peace in Central African Republic, the predecessor to MISCA has encountered similar difficulties. With each mission the number of troops was redoubled from 3,000 to 6,000 to 12,000, but the size remained insufficient to halt the spiral of violence. The International Crisis Group asserted that while consecutive missions have been sent to stabilize CAR and protect its citizens, the security situation has continued to deteriorate because the crisis is not “reducible to a problem of force numbers”. A similar sequence of events can be identified when assessing the United Nations Organization Stabilization Mission in the Democratic Republic of the Congo (MONUSCO) which started with 500 military observers in the year 2,000, increased to 5,000 troops a year later, reached 15,000 by the end of 2006 and currently stands at 21,000. An independent study commissioned by the Department of Peacekeeping operations (DPKO) and the Office for the Coordination of Humanitarian Affairs in 2008 to review the UN’s record of civilian protection, found that MONUSCO and the African Union/United Nations Hybrid operation in Darfur, the two largest peacekeeping missions with a mandate to physically protect civilians, were ill-prepared to address large scale violence and repeatedly could not meet their protection mandate, despite the missions’ respectable size. While peacekeeping missions are evaluated by their protection record and failures, they are increasingly confronted with complex operating environments, high levels of violence and an ever-expanding mandate. Peacekeeping missions have become more multidimensional and are being stretched to the limit as mission goals cover the full spectrum of intervention, including disarmament, reconciliation, peacebuilding and statebuilding activities. Regardless of the mandate, when peacekeepers are deployed, they face tremendous pressure from local communities, humanitarian organizations and the media to provide physical protection, even though the host government shoulders the primary responsibility to protect its own civilian population. Unfortunately peacekeeping forces are not able to meet these high expectations due to logistical and operational capacity gaps, because the“mismatch between the scope of modern peacekeeping and its tools is creating serious strains for UN peacekeeping…”. Hence, peacekeepers find themselves operating alongside national forces while receiving the blame for protection failures, risking a wider breakdown of the mission’s credibility and legitimacy. By focusing on direct physical protection and troop numbers, protection has been treated more as an activityrather than an outcome. While there is no denying that threatened civilians still benefit greatly from the presence of peacekeepers with a Chapter VII mandate, there is still room for improvement in the UN’s overall protection strategy. 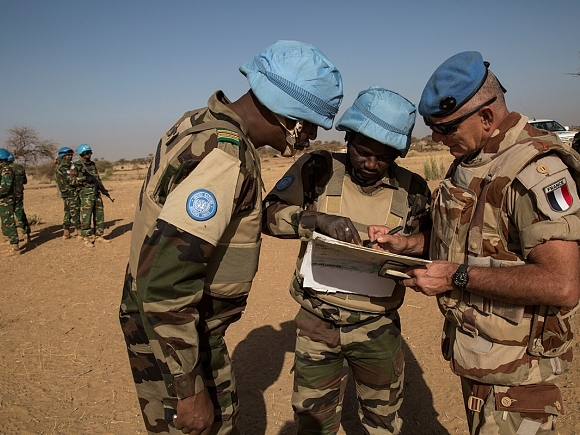 Recent adjustments have been made to the POC concept in UN peacekeeping with the adoption of thethree-tiered approach in 2010. The three-tiered framework attempts to broaden the protection strategy of missions and create an all-encompassing and holistic POC approach. The first tier captures the political and advocacy efforts that mission personnel need to undertake regarding POC. The second tier outlines the actions that missions need to consider when protecting civilians from physical violence. The third tier entails activities that create the necessary conditions for the establishment of a protective environment, such as the promotion of legal protections and legal rights and the support for national institutions. However, on the ground, the third tier is often neglected, even though most resources, civilian expertise and political backing are needed to support the development of accountable and legitimate security and justice institutions and to anchor POC into a broader political strategy. The international community’s rhetorical commitment to civilian tools and early prevention needs to match the required political will and investment in efforts that can strengthen national institutions and that can provide durable protection strategies. Hence, it is important to draw attention to the UN Secretary General’s Human Rights Up Front Initiative, because it can help strengthen protection strategies in UN peacekeeping and shift the focus to the third tier of protection. TheHuman Rights Up Front Action Plan, introduced in December 2013, places the protection of civilians and their human rights at the forefront of the UN agenda, and can encourage more concerted and effective action to improve compliance with the existing holistic POC norm. Early warning, early action, and stronger accountability mechanisms are at the heart of the Human Rights Up Front Initiative. When impunity for human rights violations and abuses persist in a conflict, it can complicate the establishment of long-lasting peace. A report released by Amnesty International (AI) in July 2014, highlighted that impunity for serious crimes was fuelling the violence in CAR. A fact finding mission sent by AI in October/November 2014 found that many of those suspected of being involved in human rights violations and committing crimes under international law in October were among those identified in the July report. Hence, many suspects were not investigated or prosecuted, and continued to live in Bangui, while regularly meeting members of the international community and the transitional authorities. Addressing the motivations and capacities of individual perpetrators before a crime is committed and ensuring accountability for these violations can help end the cycle of impunity and prevent the escalation of violence. Mr. Herve Ladsous, the Head of DPKO, confirmed on 16 September 2014 that MINUSCA will support the transitional authorities attempt to restore the rule of law, build the capacities of the national judicial system, and national human rights institutions through the provision of needed expertise. However, MINUSCA has beenstruggling with the recruitment to fill the civilian staff of both the rule of law and human rights division within the mission, suggesting an unsteady political backing by UN Security Council members and donors and emphasizing that the success of the Human Rights Up Front Initiative is dependent on leadership at every level. The initiative is clearly promising, as it aims to strengthen the UN’s ability to use the full breadth of its mandates and activities for protection, and consequently its potential ability operationalize a comprehensive POC strategy. However, the UN needs to carry out an in-depth assessment of the initiative, its implementation, and its impact to maximize civilian protection and learn from mistakes. Even though UN peacekeeping will always need a small and mobile military component to respond to immediate physical threats against civilians, a more constructive and self-critical debate on the effectiveness of military force for civilian protection and further evaluation on past successes and failures is essential to ensure improvements in the UN’s protection strategies.